Although Fosse House will take care of all your responsibilities we have provided an understanding of the common legalities, certificates and documents that we deal with on your behalf. The law both through acts of parliament in relation to contracts and housing acts provide a lot of protection to tenants especially in relation to repossession and access to the property. Our staff hold qualifications in both Letting and Property Management which includes several elements on law so can ensure your property has the best protection. Some of the key areas are explained briefly below, however; we would encourage you to come and have a chat if you have any concerns or would like a better understanding of your responsibilities. Our tenancy agreements and leases are produced in house and are carefully worded to provide the maximum assurance within the boundary of the law and housing acts. 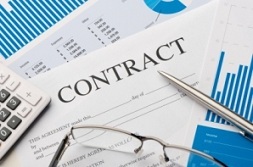 We can also incorporate any individual requirements or special terms that will provide additional peace of mind. You can rest assured that our tenancy agreements conform to all current legislation and are written to protect your property. We are happy to provide an advanced copy of the tenancy agreement and this can be emailed, posted or collected from our offices. If you have any special requirements not covered by our standard agreement, please let us know but we will need to sit down and discuss these to ensure alterations or additions are lawful. We always recommend that a professional inventory is compiled before the start of the tenancy which is the best way to ensure your investment is protected. An inventory is the document asked for and relied upon when making a deposit claim and makes any disagreement very easy to resolve. A professional inventory describes the property in great detail and includes a list of contents with the exact condition recorded and photographic evidence of important items including any defects identified. Our professional inventories are produced using the latest Ipad technology and we will be pleased to provide a sample copy, so that you can see and understand the significance of this document which we believe is as important as the tenancy contract. Typically a Fosse House inventory contains 40 - 60 pages and large properties have run to over 100 pages. Originally part of the infamous HIP pack the EPC as it is known is European legislation and a mandatory requirement that all sale and rental properties must have a certificate when the property is advertised. The certificate front page must be included on the property advertisement and any literature given to potential tenants must include the EPC information. 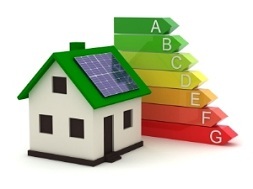 Tenants at the point of signing the tenancy agreement must also be provided with a full copy of the EPC which is all part of the European Energy Awareness initiative. It is a legal requirement to provide tenants with an annual Gas Safety Certificate which must cover all gas appliances in the property, including pipework to the gas meter. Back in the 1990’s several tenants died from poisonous fumes as a result of poorly maintained gas appliances which brought about today’s regulations. 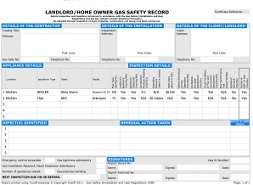 When a tenant is first checked into a property a gas certificate must be provided or legally they cannot move in. 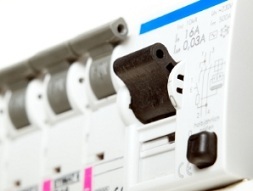 Although there is no mandatory legislation that requires an electrical check to be carried out or certificate as the landlord you are responsible for the safety of tenants and would, therefore, be deemed responsible for any electrical fault that caused injury if no check had been carried out and certificate issued. The Consumer Protection Act provides a defence of ‘due diligence’ where a landlord can defend a contravention of the Act if he can demonstrate that he took reasonable steps to avoid an injury resulting from an electrical problem. We would recommend that you have an electrical safety inspection carried out for peace of mind especially on older properties with non RCD fuse boards. The building regulations require that all properties built after June 1992 must have a main’s operated inter-connected smoke alarm fitted on every floor of the property. Older properties should have a minimum of a battery smoke detector fitted on each floor and that the batteries should be replaced at the start of each tenancy. We strongly recommend not leaving any furniture and furnishings in the rented property as it attracts no additional rent and is highly regulated regarding fire safety. Should you choose to leave any of the following items in the property each item must contain a fire safety label. In April 2007 it became mandatory to use one of the government tenancy deposit schemes to ensure that the tenant’s security deposit is securely held and protecged. We use the Tenancy Deposit Scheme (TDS) which is only available to ARLA members and although there is a small annual registration fee the scheme management is extremely good and we hold the deposit in our client bank account. If there is a dispute at the end of the tenancy we will attempt to negotiate with the tenants a solution that helps both parties. Our inventories are very good for winning disputes with tenants but please remember it is the tenants money and they are allowed some wear and tear. A good tenancy begins with a careful screening process and we use an industry leading referencing company legal4landlords to establish their history, ability to meet the rent and integrity regarding caring for your property. The data protection act does put restrictions on the freedom of information so we supplement this by requesting applicants bring documents directly to our office. On satisfactory completion we ensure all legal requirements are met for you in terms of tenancy agreements, safety and other potential issues. If you intend to live abroad there are tax implications regarding your rental payments and to enable us to pay your rent net of tax you will need to complete HMRC form NRL1. Please contact us for more information regarding this scheme are visit the HMRC website at http://www.hmrc.gov.uk/international/nr-landlords.htm. 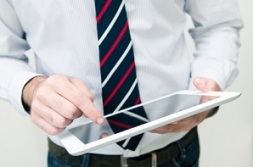 We will usually carry out a property inspection every quarter which will be completed using the latest Ipad technology and a copy of the report emailed to you. The purpose of the inspections, are to ensure the tenants are looking after your property and to identify any maintenance issues that are your own responsibility. 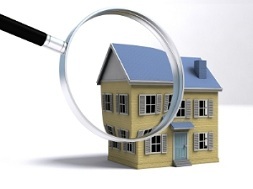 Should you have any concerns about your property please let us know and we will arrange an interim inspection. Although tenants understand the requirement for inspections they do find them an intrusion so we try to be as accommodating as possible with appointments.